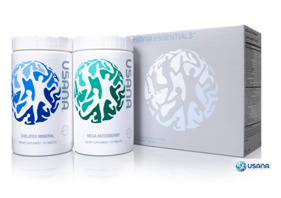 Antioxidants | Your Health. Your Lifestyle. Eating healthily is one of the main ways in which you can manage your diabetes and help keep your heart and blood vessels working efficiently. You may be overweight if you have Type 2 diabetes. If you want to lose weight, it’s good to know which foods to choose. What different types of food are there? 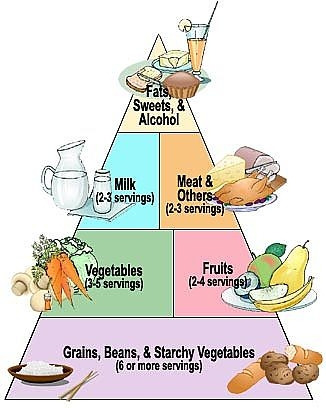 There are a number of main food types that, in combination, provide a healthy and balanced diet. Why is it important not to eat too much salt, sugar, and fat? Eating too much salt increases your risk of high blood pressure or makes high blood pressure worse if you already have it. Too much sugar can cause you to put on weight and make it more difficult for you to control your blood glucose level. Fat is high in calories and eating more than the recommended amount can lead to weight gain. Eating too much saturated fat also increases your risk of heart disease. 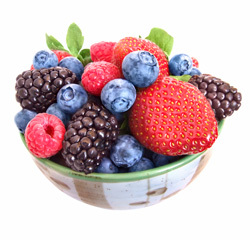 Antioxidants are a group of healing substances found in foods. Vitamins A, C, and E, beta-carotene, and selenium – as well as many substances found in plants (phytochemicals) – have an antioxidant action. Eating foods that are rich in antioxidants has many health benefits, including protecting you from heart disease. Can I take pill supplements such as fish oils, vitamins, and minerals? You can, but a balanced and varied diet will provide all the nutrients you need to stay healthy. The only reason you might be advised to take nutritional supplements is if your healthcare team have diagnosed a deficiency. If you believe that you are deficient in a particular nutrient, your health professional will discuss possible actions with you. Green tea is not a new concept. The Chinese and the Japanese have used it for years. Why is it now becoming so prevalent here in America? Green tea has been used for over 4,000 years. Folklore maintains it promotes longevity, decreases cholesterol, decreases heart conditions and also helps to decrease cancer. However, the reason it’s become popular is because there’s abundant scientific evidence showing the benefits of green tea. In fact, within the past three years alone, over 50 different scientific articles have appeared in the literature which support the use of green tea for helping to prevent, treat and, in some cases, kill cancer cells. You may be surprised to know that green tea comes from the same tree that black tea comes from. Green tea is different from black tea in that it doesn’t undergo the degree of oxidation that black tea does. Because of this, helpful antioxidants are found in much greater concentrations within green tea than they are in black tea. Scientists believe that the protective effects of green tea arise out of a group of polyphenols called catechins. Polyphenols are a class of compounds that have strong anti-oxidant properties — meaning they have the ability to stop carcinogen-producing enzymes. The commonly drank black tea has three to ten percent polyphenols. Green tea, on the other hand, contains 30 to 42 percent polyphenols. We hear a lot of beneficial effects about certain foods and certain nutrients like the antioxidants in preventing and combating heart disease. What are your feelings about these and what are your food recommendations, if you have any? Well I think the only proven antioxidant is Vitamin E.
This is for heart disease? For heart disease. We give eight hundred international units of Vitamin E per day. Are there any foods that can help fight heart disease? Unproven nutrients include the blue, green, and red vegetables like eggplant, for example. And grapes have what we call flavonoids in them, which are powerful antioxidants. And in fact you can get grape seed extract that has flavonoids. It’s a strong source of flavonoid. Can you find these at a health food store? Yes, and also pine bark, and pine nuts. These would be O.K. for people to try? As far as I know, it’s O.K., but they are unproven. The only antioxidant that’s been proven has been fish oil and Vitamin E. So that’s what I prescribe to people. The evidence is pretty strong that red wine is beneficial and again the benefit probably comes from the hull of the red grapes, of the dark grapes that they make the wine from. So that would be O.K., a glass of red wine? Yes, if you didn’t drink more than ten drinks a week of red wine plus all the other- you have to count all your other alcoholic beverages too. But a glass a day of red wine I think would be good for you, although it’s not scientifically worked out. But I think most people accept that that’s probably a good thing to do. Why do we hear so much about coronary artery disease today? Is it a bigger health problem now or are doctors just more aware of it? No, I think it’s because we can do so much more about it. The incidence rate has actually been falling until the last two or three years; now that’s gone back up a little bit. But it’s been steadily falling since the 50’s. So it’s not like suddenly we’re all getting the disease. It’s always been there. You know it used to be more than fifty percent of people died of coronary disease. Now it’s down to say thirty six or thirty seven percent. That actually die of it – the rest are living with it? They have it and eventually die of it. It’s still the number one killer of the western world; it’s still the number one problem in both men and women. Working at it through some of those techniques we mentioned about the diet, exercise, and regular screening? People that need the treatment have to be identified some way. And you can take people that have had coronary or any form of atherosclerosis as the index population and then take the first degree relatives of those and you would be getting the high risk population right there. And then you would have to through doctor’s office checkups or in some way screen the rest of the population to pick the high risk people out of the rest. That’s the way I would see doing it. It seems workable.